Even though the weather couldn't be more beautiful, school is taking away all my optimism and positive energy. I know things can't be good all the time, but this "dark period" is lasting way too long! 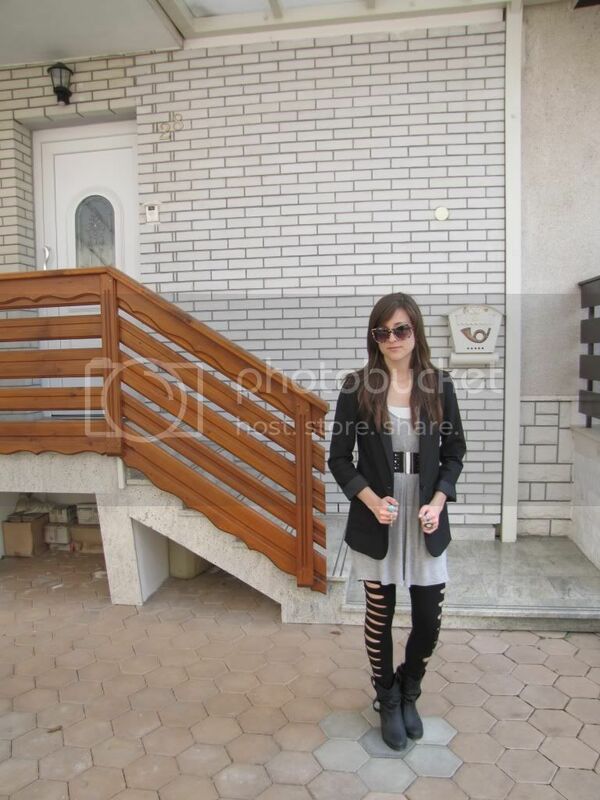 Wearing H&M ripped leggings, blazer, boots, sunglasses and belt, TopShop dress. i love this look. 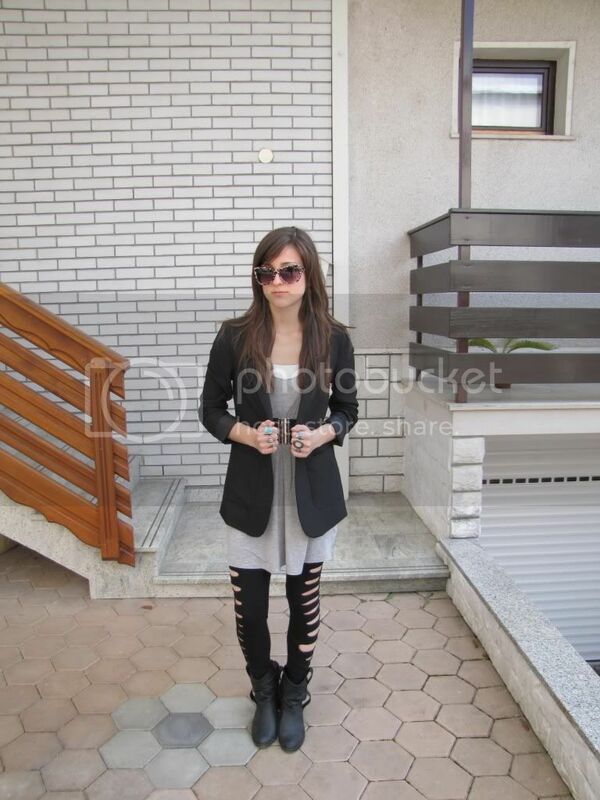 the ripped leggings are really cute!